As the Twin Cities area continues to grow, securing land for Habitat home projects becomes more challenging. Donate a home or land parcel and help Habitat with the first step in the building process! By making a gift of real estate, the donation provides you with tax-benefits while making a personal impact for local families. Gifts of real estate include undeveloped land, residential and commercial property. Habitat looks for land large enough to build at least a single family home. A larger lot would possibly allow us to build multiple housing units, giving us the ability to help more than one family per build. Outright Gift: Donor transfers the property for retention and use by the Twin Cities Habitat for Humanity or for immediate liquidation with proceeds directed according to donor intent. Retained Life Estate (RLE): Donor transfers ownership to Twin Cities Habitat, but retains the right to live in the property for a specified period of time or accepts a remainder interest in a personal residence, farm, or vacation property under a RLE agreement. 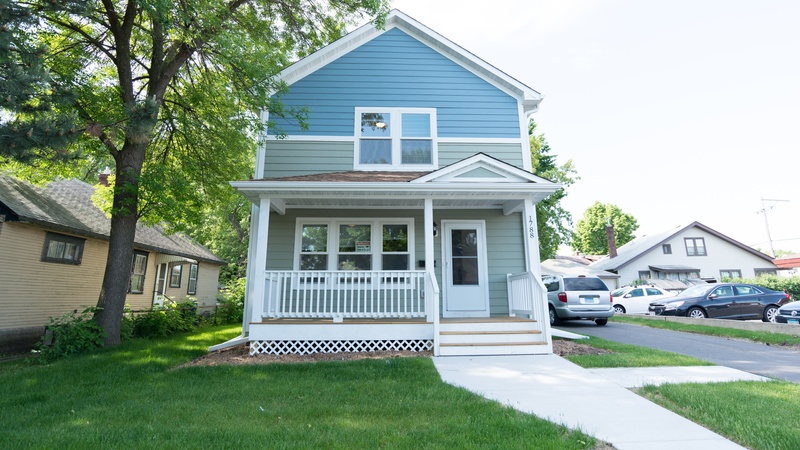 Bargain Sale: Donor sells the property to Twin Cities Habitat for less than its appraised fair market value and receives a charitable deduction for the difference between the value of the property and the sale price. Life Income Gift: Donor transfers ownership of the property to fund a charitable remainder trust or charitable gift annuity. Bequest: Donor bequeaths the property to Twin Cities Habitat in his or her will or revocable (living) trust.If a gift of real estate is encumbered by a mortgage or lien, Twin Cities Habitat will request the donor pay off the debt prior to making the donation.